Brown bear family. Cub sticking his tongue out at his sibling. 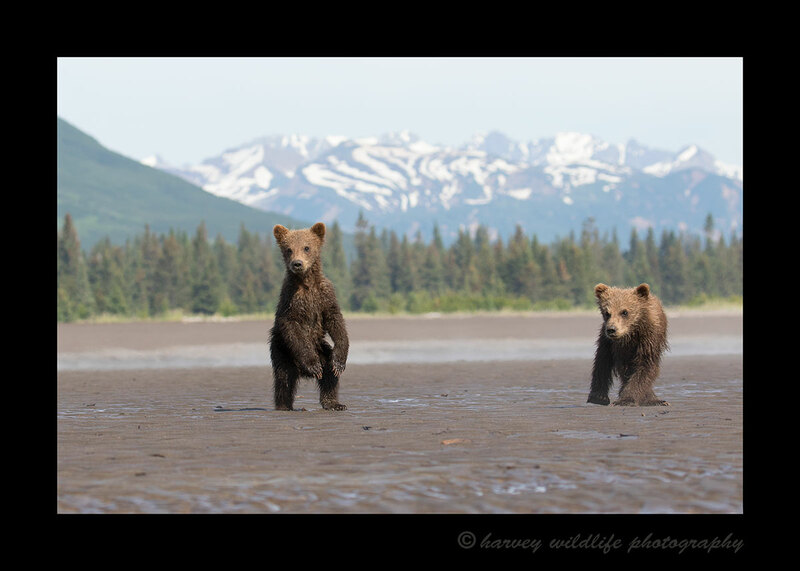 Pitcture taken in Alaska by Greg Harvey of Harvey Wildlife Photography during an HW Photo & Safaris tour. Join us June 13 to 20, 2019. Our June, 2019 trip is full. We will be arriving in Anchorage Alaska, staying overnight in Anchorage, then flying out to Lake Clark the next morning. Lake Clark is only accessible by plane. This National Park is a favourite for wildlife photographers. 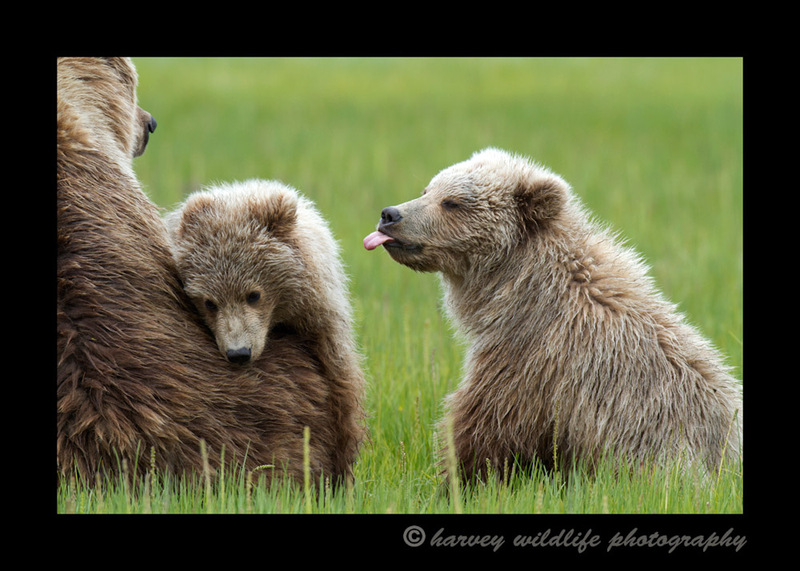 We will photograph wild brown bears in their natural habitat clamming, eating grass, play fighting and just being bears. The guides at the lodge are very good and work with wildlife photographers all summer long, every summer, so they know just what to do in every circumstance to help us safely get that amazing image. Each day we have the option to start photographing around 7a.m. then we head in for breakfast, back to photograph some more until lunch time. We may have a couple hour break then it's back out to the bears. We'll have another break for dinner then once again we are back out to the bears until about 9p.m. when we finally start losing the light. This lodge and location is perfect for our purpose. We have long daylight hours, a lot of brown bears and hard working guides! If you want to take a break from the bears depending on the weather and interest we can go for a boat ride over to puffin island to photograph the clowns of the sky for an afternoon. 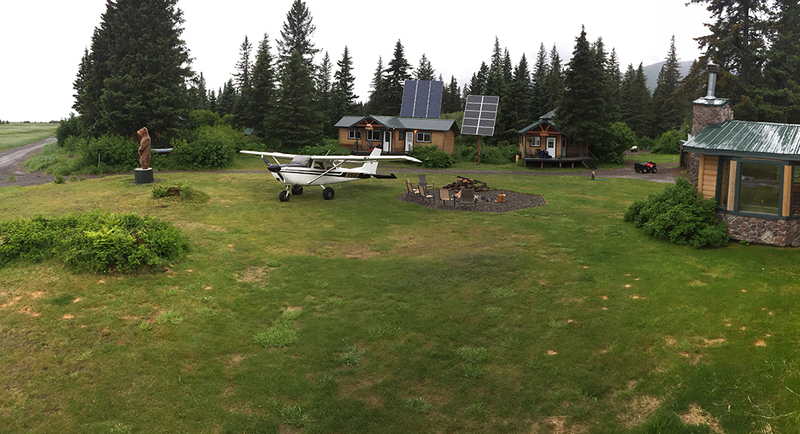 Or you can relax with a book and watch the brown bears from the deck of your cabin. At some point they always pay a visit to the lodge. You just won't know when. June 14 at noon to June 19 at 11a.m. 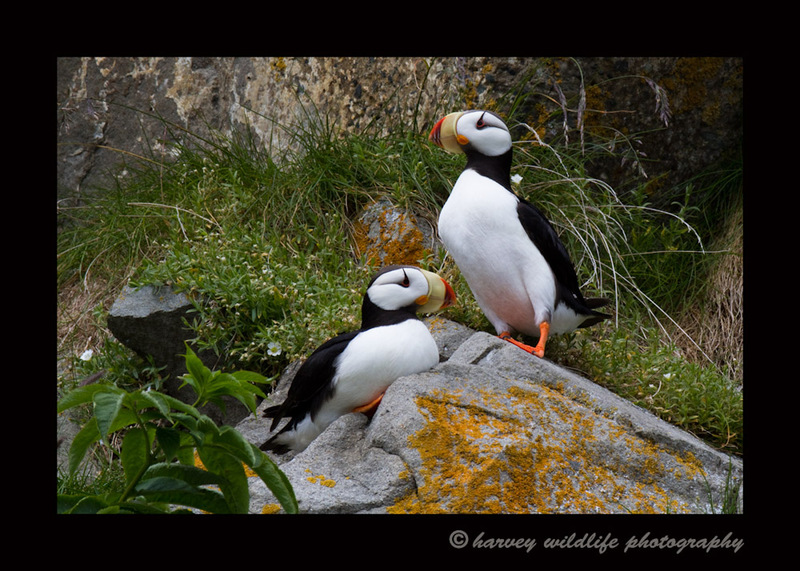 photographing brown bears, side trip to photograph puffins is a possibility based on interest and weather. June 19 Shopping in Anchorage, we'll rent a car and see if we can find some moose to photograph in Anchorage. June 20- Option to do a little more wildlife photography in the morning, then have lunch, return the rental car. June 20 fly home. We overnight in Anchorage a day before and a day after the trip as a buffer in case there are any issues with flights. Deposit: $1500 holds your spot. The deposit is non-refundable. If we find someone to take your spot and all of our spots are full we'll be happy to refund your deposit. Continental Breakfasts at the Holiday Inn. 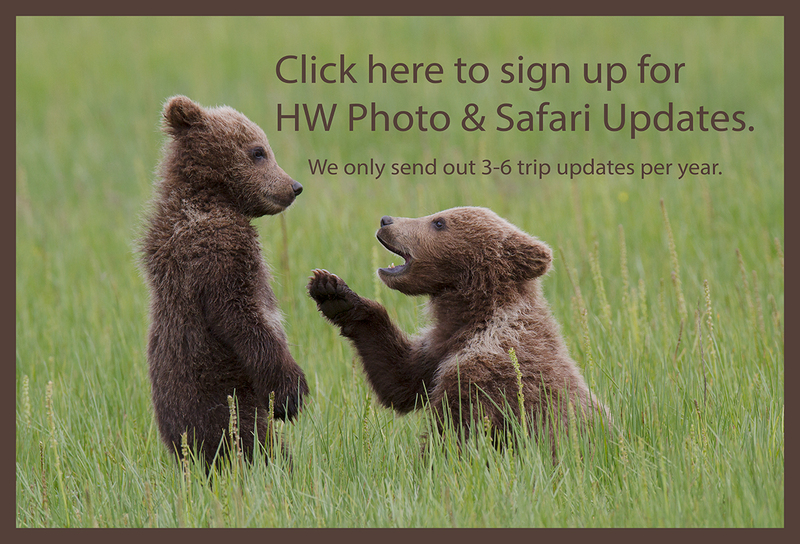 Contact greg@hwphoto.ca if you are interested in joining us.